Before you know the answer to why do you have a big belly and how to get rid of it, you need to know first the different types or kinds of big bellies because there are different kinds. 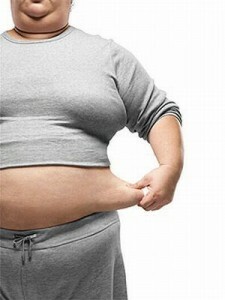 When you know which type of big belly you have, you will know why you have it and also how to get rid of it. Belly fat is different from a person to another. The fat is distributed differently from a person to another due to different and many factors. 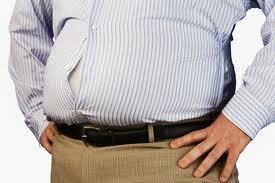 Belly fat happens due to the unbalance in using your muscular system. For instance, if you use only your arms and shoulders during work and none of the other muscular of your body like your belly muscles while sitting on the desk the whole day or while driving, this will cause belly muscles stretching, balling and size increasing. 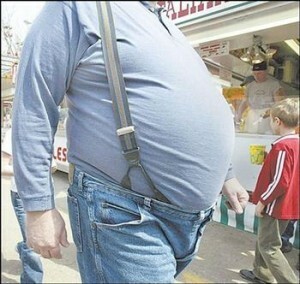 There is more than one reason for belly sagging. It happens when you go on a diet and you don’t make the necessary workouts and exercises in order to Strengthening and tightening the muscles while losing weight and also to avoid having loose skin after you get rid of the fat. It can also be the result of using only two muscles in the middle of the belly and this can cause billy sagging and a big belly. Also another reason, which is due to surgeries in the belly area, like surgery rupture that effects the belly by causing sagging and muscles limpness and laziness. Consequently, the belly gets bigger and your appetite for the food and drinks increases pretty much and you get precipitation of the fat and then obesity takes place and that is why you get muscles and belly sagging with skin folds; While in other cases it takes the the form of layers. Bloated belly looks like a balloon and it happens due to the excessive in eating and drinking which excess your body needs. The reasons of he excess in eating and drinking, sometimes it is due to depression or tension or nerves tension and you think that eating a lot more than what your body really needs, is going to give you a release to get rid of the tension or the depression. 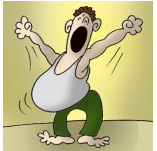 This excess in eating and drinking also happen to the optimistic person, he/she gets this emotion and reaction of happiness and optimism and as a result, the person feels a big appetite for eating big quantities of food and drinks and of course this causes Obesity and a big belly. The belly is curvy and looks like Orange peel. You get this hormonal belly when you have hormones disorder inside your body. The excretion of cortisone increases – So,the distribution gland above the kidney fat get unbalanced on different areas and parts of the body, which leads to increasing the fat in the abdominal area like in men cases. 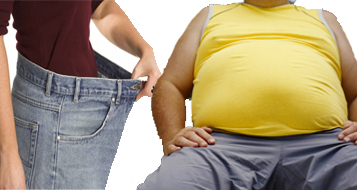 While for women, the fat accumulate in the lower part of the belly, accompanied by obesity in the thighs, buttocks and this obesity takes irregular forms in those parts. When you figure out the reasons why you get a big a belly, you will be able to avoid those reasons by taking precautions and avoid having a big belly in the first place. Natural ways are the best ways to get rid of the big belly, no matter what they say about surgeries and pills, I only believe in natural ways to achieve results and avoid any kinds of side effects. This diet and exercises is not a temporarily thing till you get rid of the fat in your belly or in any part of your body, consider it for life because it is an invitation for living a healthy life. Breakfast for all days of the week: Skimmed milk + one teaspoon honey + 2 slices of brown toast with white cheese (no fat) + ½ cup orange juice or grapefruit. Lunch: any kind of green salad without oil + grilled chicken breast + half a slice of brown toast. Dinner: vegetable soup + 2 brown toast with cheese (no fat) + two types of fruit. Lunch: steamed rice + boiled chicken ( breast). Dinner: Fresh juice with no sugar+ 2 brown toast with white cheese no fat + two types of fruit. Lunch: boiled vegetables + two pieces grilled Steak + 2 brown toast. Dinner: Tuna light salad + 2 brown Toast + one type of fruit. Lunch: a large cup of steamed rice + any type of sauce or yogurt. Dinner: skimmed milk + one type of fruit. Lunch: light Tuna salad + two slices of brown toast. Dinner: 2 boiled eggs + fresh salad + 1 slice of brown toast. Lunch: boiled vegetables + Beef grilled Steak + 1 brown toast. Dinner: skimmed milk + 2 brown toast with white cheese or any type of non fat cheese + 2 type of fruit. Lunch: grilled chicken (breast) + green salad + 2 brown toast . Dinner: Orange fresh juice + 2 brown toast with cheese with no fat + steamed vegetables. Fresh juice with no sugar + 2 brown toast with cheese (no fat) + boiled or steamed vegetables. Lunch: Beef grilled Steak + boiled potato + green salad. Dinner: two slices of toasts with cheese with no fat + two types of fruit. Lunch: Pasta spaghetti or any other kind very small portion + fresh tomato sauce + fresh green salad with one big spoon vinegar on the salad. Dinner: skimmed milk or fresh juice + 2 brown toast with white cheese (no fat) + one green apple. Lunch: Fresh salad with vinegar + grilled chicken (breast) + 2 brown Toast. Dinner: light Tuna salad without oil + one green apple. Lunch: grilled meat (your choice) + boiled or steamed vegetables + 2 brown Toast. Dinner: Fresh green salad + 2 brown toast with cheese (no fat) + any type of fruit. Lunch: grilled fish with lemon + fresh salad + 1 brown toast. Dinner: Fresh green salad + 2 brown toast with any type of cheese with no fat + any type of fruit. Lunch: boiled or steamed rice + skimmed yogurt. Dinner: Fresh juice + fruit salad with no sugar or skimmed milk. 2 brown toast with any cheese type with no fat + tea or skimmed milk. Lunch: fresh salad without oil + 2 brownToast. Dinner: fruit salad with no sugar. Lunch: 2 boiled eggs + fresh green salad + 2 brown toast. Dinner: white cheese no fat + one brown toast + one type of fruit. Lunch: Grilled Steak + boiled or steamed vegetables. Dinner: 2 brown toast with white cheese no fat+ cucumber + any type of fruit. Dinner: skimmed milk + one kind of vegetables. Lunch: boiled chicken or roast beef + Fresh green salad. Dinner: lettuce salad + 1 brown toast + any type of fruit. Lunch: beef grilled Steak + Fresh salad. Lunch: Tomato soup + 2 brown Toast + two types of fruit. Dinner: boiled egg + boiled vegetables + half brown oast. Glass of skimmed milk with a teaspoon honey + Brown toast with any kind of cheese with no fat. Lunch: vegetable salad + 2 hard-boiled eggs one boiled potatoes + 1 brown toast. Dinner: 1 toast with cheese no fat + one green apple. Lunch: Fresh salad without oil + grilled steak+ 1 brown toast. Dinner: Brown Toast 2 + cheese with no fat + any type pf fruit. Lunch: Light Tuna salad + 1 brown toast. Dinner: two fruit + salad with white light cheese + 1 brown toast. Lunch: Fresh salad + piece of boiled or grilled chicken + 1 brown toast. Dinner: skimmed milk + 1 brown toast with cheese with no fat + 2 types of fruit. Lunch: green salad with grilled chicken. Dinner: vegetable soup + 1 brown toast + type of fruit. Lunch: boiled vegetables + 2 grilled Steak pieces. Dinner: skimmed Milk + option salad + 1 brown toast +any type of fruit. Lunch: Tuna salad + 1 brown toast. Dinner: Fresh salad + 1 brown toast with white cheese + type of fruit. Lunch: grilled chicken + fresh salad + 1 brown toast. Dinner: skimmed milk or fresh juice + 2 brown toasts with cheese (no fat) + vegetables + two types of fruit. Lunch: light Tuna salad without oil + 1 brown toast. Lunch: Beef grilled Steak + Fresh salad + 1 brown toast. Dinner: vegetable soup + 1 brown toast + green apple. Lunch: boiled or steamed rice Cup + cup of skimmed milk. Dinner: skimmed milk + boiled egg + 2 brown Toast + type of fruit. Lunch: boiled Chicken breast + fresh salad + 1 brown toast. Dinner: Fresh juice + 2 brown toast with cheese (no fat) + type of fruit. Lunch: 2 boiled egg + salad lettuce and tomato with vinegar + 1 brown toast. Dinner: any kind of Sweets just two small pieces+ one green apple. Lunch: light Tuna salad + 2 brown Toast. Dinner: 2 boiled eggs + Fresh salad + 1 brown toast + two types of fruit. Skimmed milk + one table spoon honey + 1 brown toast with cheese (no fat )or egg white. Dinner: salad and skimmed milk + 1 brown toast + type of fruit. Lunch: salad, lettuce and tomato with apple and vinegar + grilled chicken or boiled + 1 brown toast. Dinner: brown Toast 2 + piece of cheese no fat + 1 orange + skimmed milk. Lunch: Green salad + hard boiled vegetables (with lemon and garlic) + Grilled Steak + type of fruit. Dinner: 2 brown toast with cheese (no fat) + fresh juice. Lunch: Cup boiled or steamed rice + green salad and skimmed milk. Dinner: Fresh salad + 2 fruit. Lunch: light Tuna salad (without oil) + 1 brown toast. Dinner: fruit salad (no sugar) + skimmed milk. Lunch: green salad, fresh vegetable soup + 1 brown toast. Dinner: lettuce salad + white cheese (no fat) + 1 orange + 2 brown Toast. Lunch: Chicken Breasts 1 grilled or boiled +1 brown toast + salad with vinegar. Dinner: Orange juice + 1 brown toast with white cheese no fat + two types of fruit. Lunch: vegetable salad with lettuce and vinegar +grilled or boiled + 1 brown toast. Dinner: fresh orange juice + 1 brown toast with white cheese no fat + two types of fruit. Dinner: Fresh salad + white cheese no fat + 1 brown toast + two types of fruit. Lunch: light Tuna salad + 1 brown toast + lemon juice without sugar. Dinner: boiled egg + tomato + 1 brown toast + skimmed milk + any fruit type. Lunch: 1 boiled egg + half a brown Toast+ any type of fruit. Dinner: salad and skimmed + 1 brown toast. Lunch: a cup of skimmed milk + a cup of steamed rice with vegetables. Dinner: 1 brown toast with non fatty cheese + tomato + pepper + cucumber + juice + any type of fruit. Dinner: a cup of corn + green salad with lettuce with white cheese. Lunch: vegetables salad + 1 grilled steak + 1 brown toast. Dinner: 2 boiled potatoes + fresh orange juice. Tea with skimmed milk + 2 brown toast with any type of non fatty cheese. Dinner: fruit salad + orange juice. Lunch: 2 hard-boiled eggs + fresh green salad + 1 brown toast. Lunch: 1 Grilled Steak + hard boiled vegetables. Dinner: 1 toast with white cheese (no fat) and 2 cucumbers + two types of fruit. Lunch: boiled rice Cup or steamed + steamed vegetables. Dinner: skimmed milk and 2 cucumbers + type of fruit. Lunch: boiled chicken or roast + Fresh green salad. Dinner: lettuce salad with white cheese (no fat) + 1 brown toast + type of fruit. Lunch: 1 grilled Steak + Fresh salad + 1 brown toast. Lunch: Tomato soup + 1 brown toast + Light Tuna. Dinner: boiled egg + fresh vegetables +1 brown toast + skimmed milk. Orange juice or grapefruit + 2 brown toast with cheese with no fat. Lunch: Grilled chicken breast + salad with fresh lemon + green and red peppers (not the spicy or the hot ones) and tomatoes. Dinner: Fresh salad with white cheese + two types of fruit. Dinner: Fresh salad with white cheese (no fat) + type of fruit. Lunch: boiled vegetables +, Grilled Beef Steak. Lunch: Grilled or boiled chicken + steamed vegetables. Dinner: brown toast with cheese with no fat + type of fruit. Lunch: Egg omelet + 1 brown toast + steamed vegetables. Dinner: salad and milk choice + type of fruit. Lunch: vegetable soup + 1 brown toast + any type of fruit. Dinner: fruit salad + fresh juice. Lunch: boiled vegetables + Grilled Beef Steak. Dinner: 2 toast with cheese with no fat + vegetables + one green apple.